Welcome to Toddler Sleep Training 101! These are my foolproof and gentle techniques that I have used for years to help my clients teach their young children to sleep all night, and I can’t wait to share them with you all now! We looked at multiple baby lists, searched thousand of movies, and even cracked open some history books to give you the BEST list of Top Baby Names for 2019! Included: Boy Names, Girl Names, Gender-Neutral Names, French Names, Southern Names, and Unique Names- check it out! 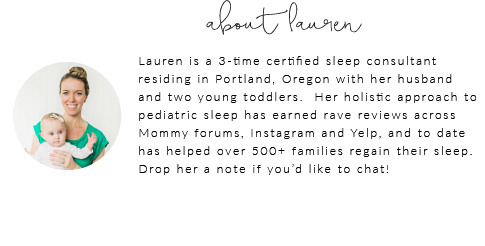 Read all about why I highly recommend this top registry item for YOUR family for longer naps and peaceful nights! A household fave! "How do you feel about the Dock-A-Tot?" and "Do you think I should order the Dock-A-Tot for my child?" These are two questions I receive almost weekly in my Inbox, as this Baby "Must Have" is on the top of most Mama's list of "Wants". After some extensive research, a little contemplation and my toddler expressing interest about moving into a toddler bed, I finally decided to try the Dock for myself.